Are you involved in merger and acquisition transactions? Have you noticed an increase in the amount of intellectual property owned by merging entities? For years, law firms have been conducting public record due diligence for merger transactions by searching for UCC financing statements, federal tax liens, state tax liens, judgment liens, litigation and bankruptcy. But today’s transactions require more. It is crucial to incorporate federal intellectual property (IP) due diligence on your checklist, in addition to the standard lien, litigation and bankruptcy due diligence package. 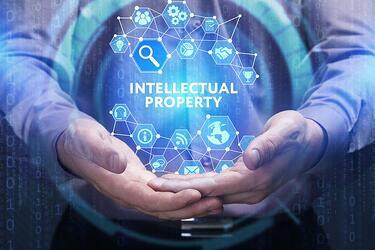 Many professionals have come to recognize that IP is likely the most valuable business asset that a company may possess, and the World Intellectual Property Organization (WIPO) has taken note of this trend. “Increasingly, and largely as a result of the information technologies revolution and the growth of the service economy, companies are realizing that intangible assets are often becoming more valuable than their physical assets…. Intangible assets are therefore taking center stage and SMEs [small and medium-sized enterprises] should seek how to make best use of their intangible assets.” As such, financial institutions are now often requiring IP as part of the collateral and as a condition to financing. Based on the definition in Section 9-102(a)(42) of the Uniform Commercial Code, IP is considered a “general intangible”. While patents and trademarks may be pledged as collateral and are thus filed in UCC records around the country, relying on the state-level UCC central indices is not enough for IP due diligence purposes. The United States Patent and Trademark Office (USPTO) provides a federal process to initiate and manage patents and trademarks, and grant security interests in those properties. It is necessary to search the USPTO for patent and trademark records, in addition to UCC central indexes, as without these additional USPTO searches, you may miss critical information affecting your transaction. 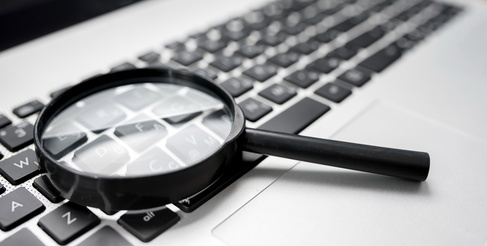 Keep in mind that IP due diligence searches are not limited to USPTO records. Searches for copyrights should also be conducted at the U.S. Copyright Office (USCO) and Library of Congress. Perfection of security interest for registered U.S. copyrights is accomplished by filing with the USCO, therefore a search of the copyright office should not be overlooked. What Does IP Due Diligence Determine? Determine and/or confirm intellectual property ownership. Is the chain of title (history of ownership) in line? Has the IP been maintained? Have renewal filings been made or are they coming due? Have any liens been granted on the IP assets? Are intellectual property assignments necessary? Like traditional UCC searches, establishing the federal IP chain of title and checking if any liens are filed against IP allows parties to execute closing responsibilities without last-minute, unexpected disasters. Or worse yet, trying to make changes to IP public records after the deal closes. Intellectual property has now taken center stage as one of the most important asset classes for a majority of business entities. With this shift, federal intellectual property searches should be considered a standard practice of thorough public record due diligence. Still curious about IP due diligence? Check out this piece from Holland and Knight.